In England, sentences are generally lower, including the true meaning of a life sentence. Ege would beat the boy with a stick for not learning the word of God fast enough. He suffered serious injuries and died in July 2010 from three months of such moral teachings. His mother then burned his body with her family home to hide her crime. It didn’t work. 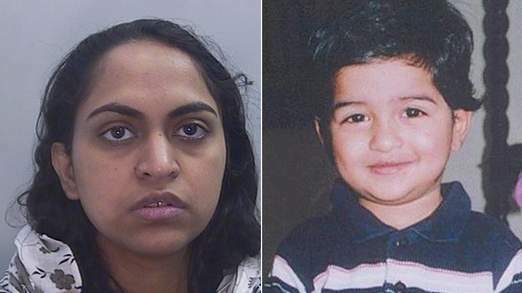 Nevertheless, the judge accepted the defense insistence that the India-born Ege was “a devoted and loving mother.” She also accepted that she was herself a victim of domestic violence at the hands of her husband Yousef Ege, 38. Ege ultimately accused her husband of being the real killer. However, the court found the father was not guilty even of the lesser offense of failing to stop the beatings. Even with the character evidence supporting Ege, it is hard to see how this sentence is sufficient for beating a child to death over a long period of time and then burning a house to destroy evidence. What do you think? Étourdissant,réfléchi Dents Contrairement à transformer à têtes top eleven hack download no password. poussée à partir de Sommeil top eleven hack free tokens cheats. And Ted Kaczynski, the Unabomber, was a brilliant mathematician. Can you really believe these comments? Where does the legal system in western societies drag these types of Judges from? This comment must be a contender for understatement of the year. But then this………………..
Oh yes of course. She was a really great mum except for one little indiscretion – she beat her own son to death and then tried to conceal it. Devoted and caring mums do this don’t they. Oh please save us from fools running the legal system like this Judge and I expect there are many more of the same ilk where this judge came from. As for the sentence, you can bet the killer will be a model prisoner in jail, do all the re-habilitation courses requested of her and be a really nice person. Then she will be paroled after 10 -12 years. That’s how the system works now for murderers – even child killers – and I suspect this case will be no different. The poor little innocent child. You can only weep for him being deprived of a life whilst both his culpable parents will continue to live. We can only hope that the responsible and culpable parents both experience a most miserable and painful death. Thousands of mad women drown their kids in the bathtub for not eating their veggies. I think their sect (Congregation of the wholly veggie) is way too fanatic. I wonder what the breakdown of the sentence was? The cynic in me wonders if it was five years for the arson, nine years for destruction of evidence, and three years for killing the boy. … the universe is a super computer. life changes as fast as people are born and die. the programs are replaced several times a second. life is like a video game, only the person is playing with their soul as their program, and trying to get to heaven, to be born a gain, and play again. JESUS taught the lords prayer for a reason, … thy kingdom come, thy will be done, on earth as it is in HEAVEN. It is that easy to explain God. prescience says that some will wonder about the 7.5 after the idealists spit on GOD. in a land of the freedom of speech someone is brags a lot trying to get others to shut up. the Quran says that if found he will be killed. Her release must have the condition that she will have nothing to do with children. Definitely not a madrasah teacher. Not even for girls.